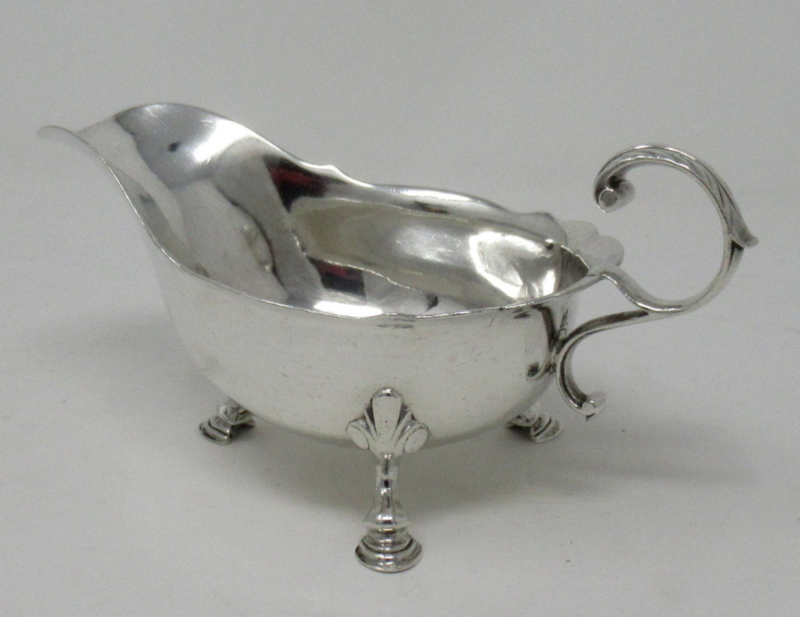 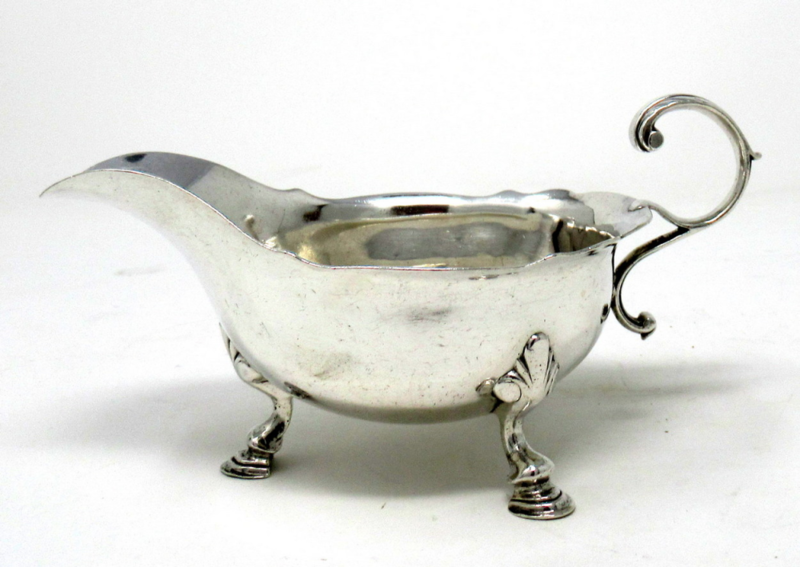 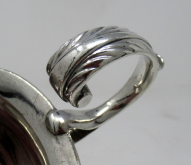 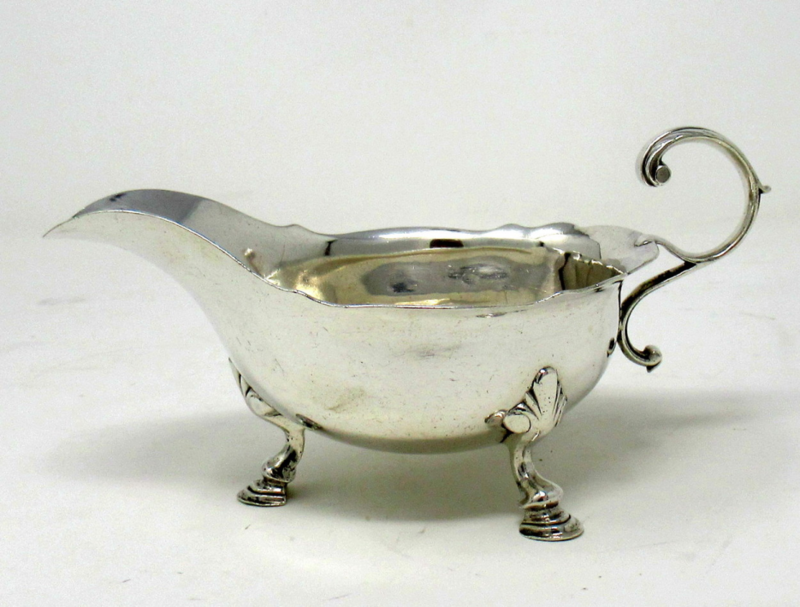 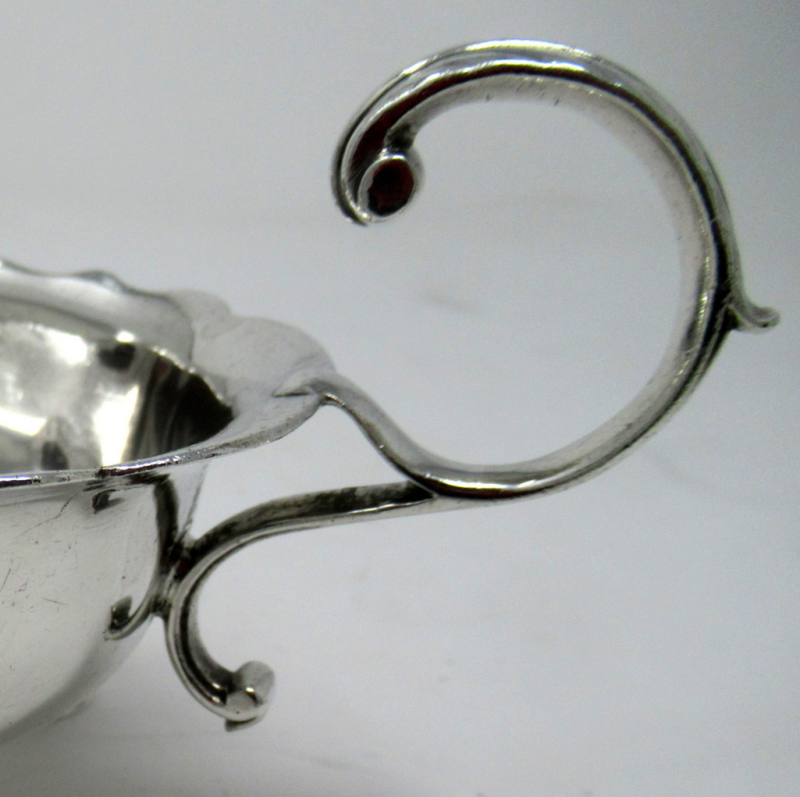 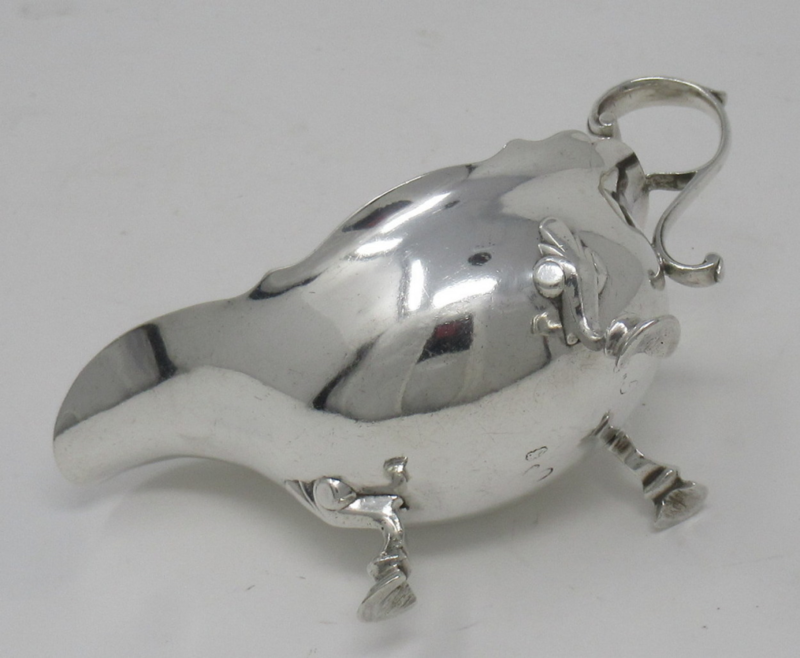 A Superb Irish George III Crested Sterling Silver Sauce Gravy Boat of Traditional Helmet Form. 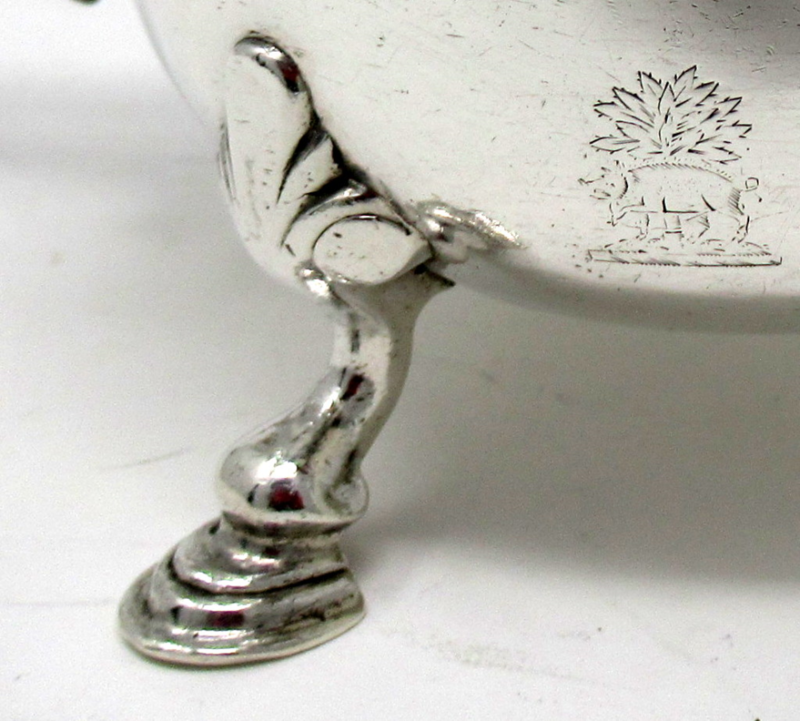 Third quarter of the Eighteenth Century. 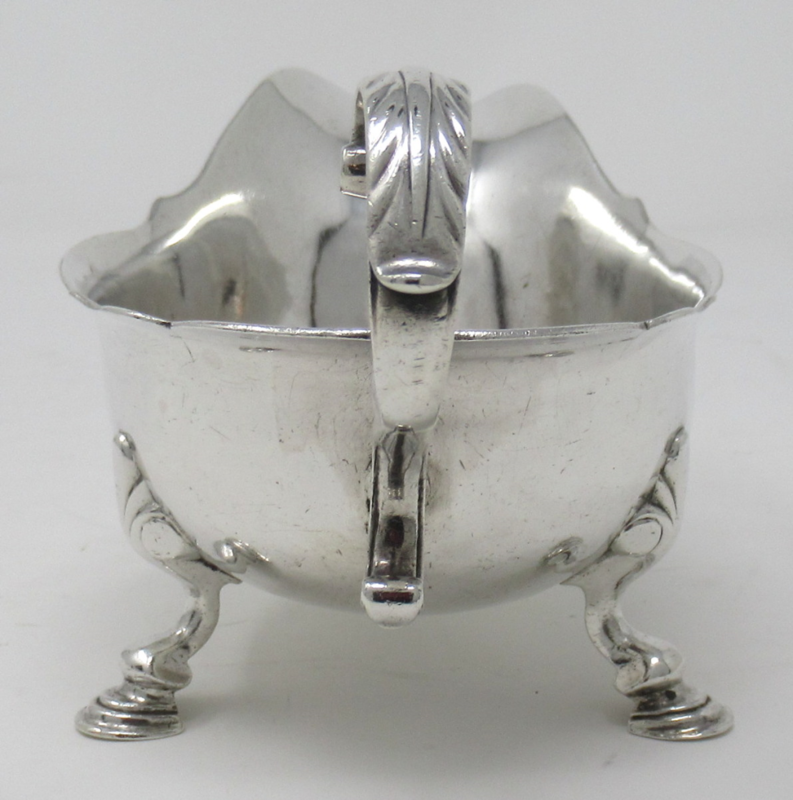 With a decorative wavy rim, acanthus wrapped cast s-scroll handle, raised on stylised shell capped legs and feet. 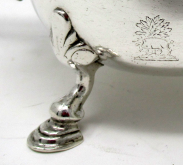 Makers mark of Edward Raper. 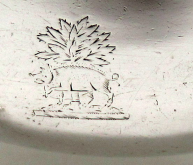 Width: (at widest) 7.5” (19cm). 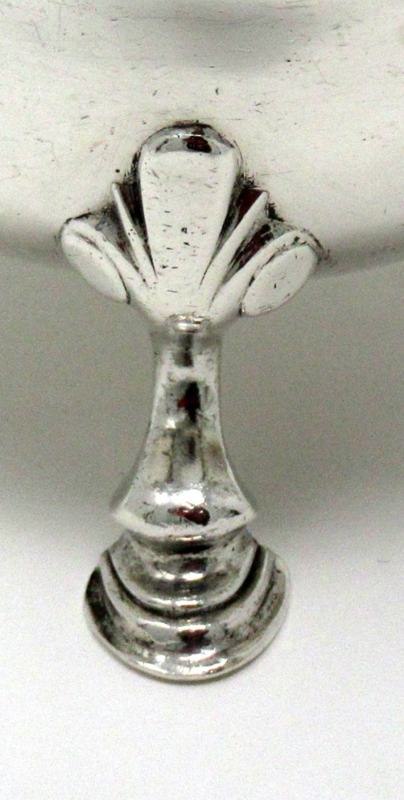 Depth: 3.75" (9.5cm). 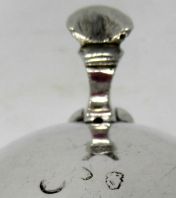 Total Weight: (an impressive) 8.2ozs. 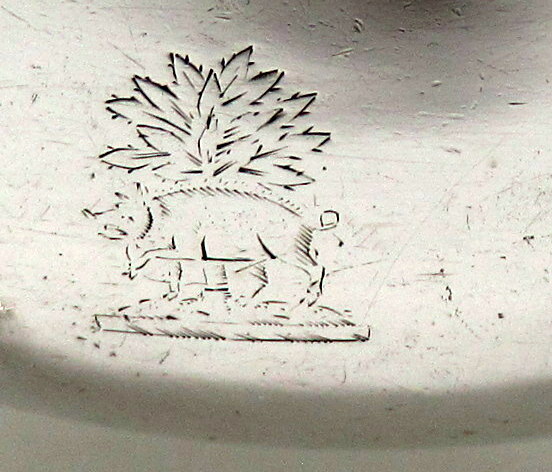 (231 grams).